Sitting on the Eurostar as we travel home I thought this would be a good opportunity to reflect on the trip and write my blog. Now I would normally have done this each day however due to the fact that we barely finished cycling within the same day that we started most days I was not quite feeling it! 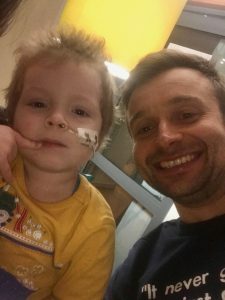 This challenge started for me 3 months ago after seeing a post from a friend who used to work for my brother asking for donations to help her poorly son travel to America for treatment for a rare condition known as high-risk neuroblastoma. Within the hour my phone rang and my brothers name flashed up and I just knew I was going to get roped into “helping”. 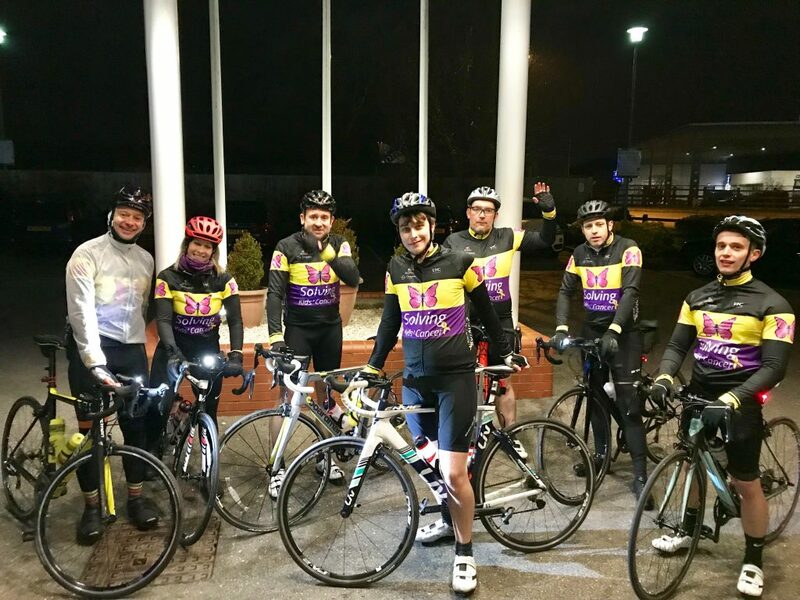 The challenge was for 8 untrained riders to cycle from London to Brussels in 3 days on bikes that have been begged, borrowed or stolen! 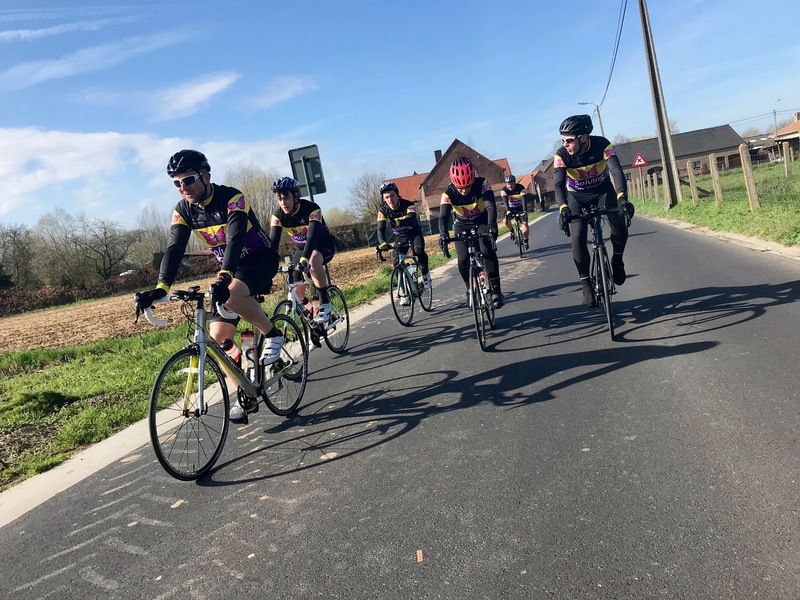 Training was a little hit and miss in the lead up but with each rider having completed at least one ride each we were ready. I was in charge of the first group and we had a 30min head start on the others getting the 10:30 train from Norwich. Emerging from Liverpool street station upon the streets of London, it was hard to get your bearings and our first decision was whether we went left or right which turned out being a 50/50 split so ended up tossing a coin! It took us 9miles to find a blade of grass where we stopped for our first wee of many and some refuelling! 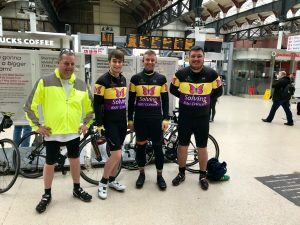 I was amazed at how successful the route out of London went with very little traffic and no issues at all which could only mean one thing, things were going to go wrong at some point! After finding ourselves on a private bus lane we found the most amazing descent into Bluewater and everyone was in good spirits, unfortunately we needed the Euro tunnel and not a shopping mall so found ourselves climbing back up the hill much to everyone’s disappointment. After avoiding the M2 by a matter of meters we hit our first mechanical of the day with a tyre blowout and were caught by the chasing pack! Now, although we had a support vehicle this doesn’t mean the vehicle was actually where the support was needed and this turned out to be the first of three one hour waits on an already tight schedule! The light had gone and we were only halfway so knew we were in for a long Friday night, not quite what I had in mind when I signed up to help with the challenge! After a number of wrong turns and dirt tracks we decided to abandon ship and stay on the main A20 to Folkestone! Now the advantage of having so many riders was it meant that as the lights ran out of charge one by one each rider could hide in the middle of the chain, luckily it didn’t quite end up as bad as just a one front and back light but was getting close! After leaving home at 8am we finally arrived at the Holiday Inn at 11:30pm for our recovery meal of takeaway Pizza with a pint of Becks. After a good night’s sleep, well the 4 hours that I actually had it was time to board the first train across the water into France. 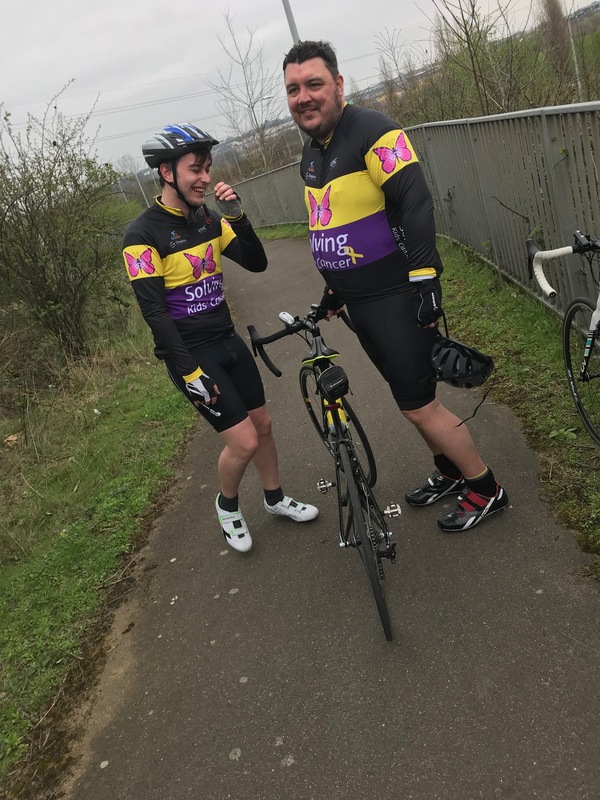 Once we remembered which side of the road we were supposed to be on, which is not my strong point, it was a lovely first 25miles without a glimpse of a hill and successfully met Les which made a change after yesterday! With just over 25miles to go we nearly had a man down with Ryan running low on energy and no feeling in his body at all. I pointed out that he was riding with no air in his rear tyre after a puncture, which he had not even noticed or felt, even with his arse! After pacing him back to the team car, we hooked him up to a drip consisting of caffeinated gel and energy drink and after a few minutes in the van managed to come round and was ready to try and finish the ride. The remainder of the journey felt like Groundhog Day from yesterday with riding in complete darkest again and I felt like Ryan’s personal dealer dishing him out a gel every 5 miles until we arrived at our destination where he was so wired that he would not be sleeping for about 2 days! 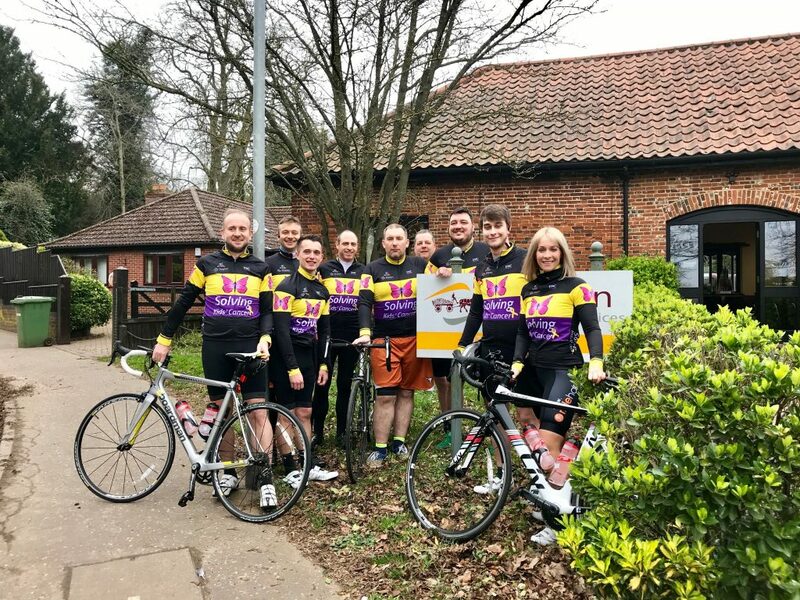 It would appear that the hen party that Pete had promised had not made it to this small hotel in the sleepy village of Boekelbaan but on the plus side it felt like a bonus finishing over an hour earlier at just after 10pm, however this meant that they had stopped serving food. The owner of Johan’s Lodge did not speak too much English so trying to order something to eat was challenging although Darren spoke the universal worldwide language of just showing him his Gold credit card which managed to get us beers, with pizza and chips delivered! Pete was in charge of room distribution at this location, which meant Tony had to share a bed with Ryan and try to avoid helping with “his needs”. 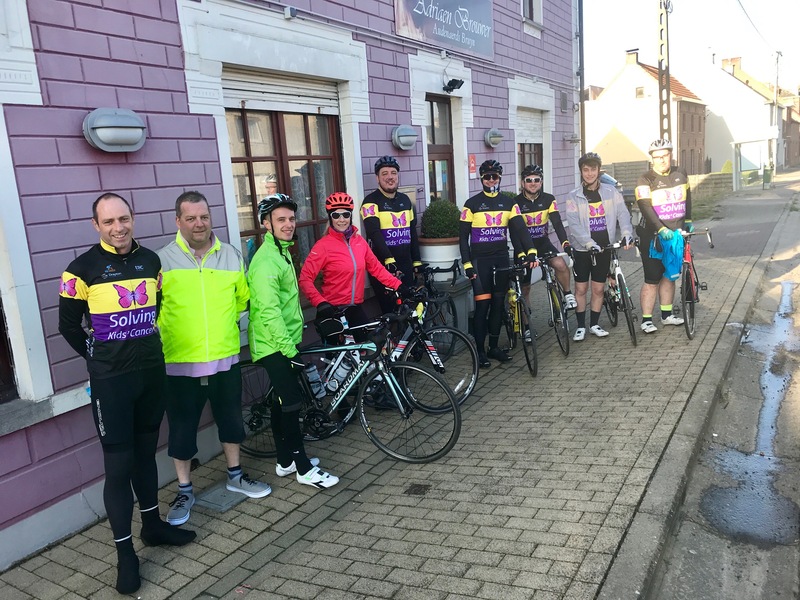 We had a lovely lay in today as Darren had arranged breakfast at 7:30am for us all and it was time for the last push towards Brussels. 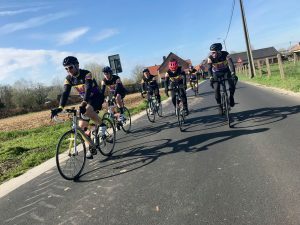 Cycling in Belgium today was amazing with the sun shining and some amazing group riding in near perfect formation eating up the miles and then there was our group! Not quite as streamline but at least we looked the part with our matching jerseys! 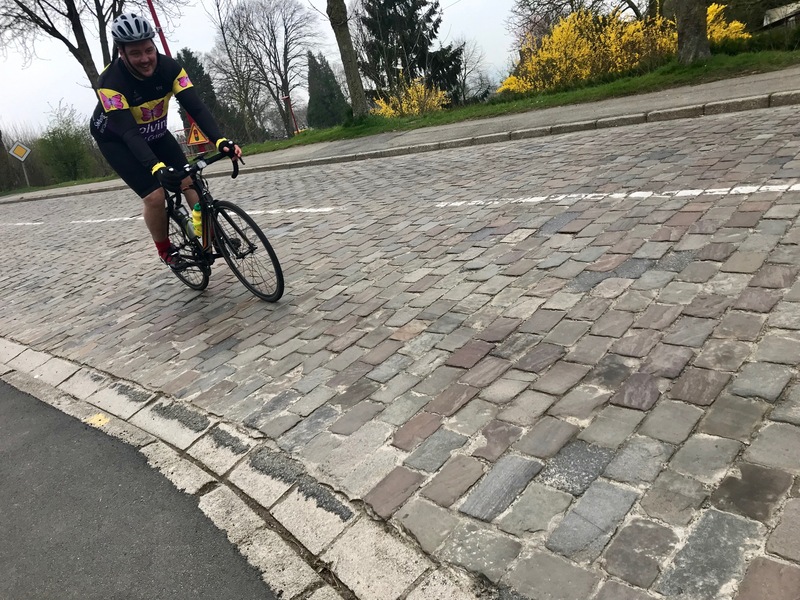 I have never ridden in Belgium and although it was lovely it has to be the hilliest flat country in Europe! We had arranged to meet Les for coffee on route in a village and he rang to say that you cannot miss me and parked outside a coffee shop. This was the kiss of death as we did miss him turning before the van and after making our way back down the hill we found out that it was a patisserie that didn’t sell coffee! Needless to say we were not impressed! 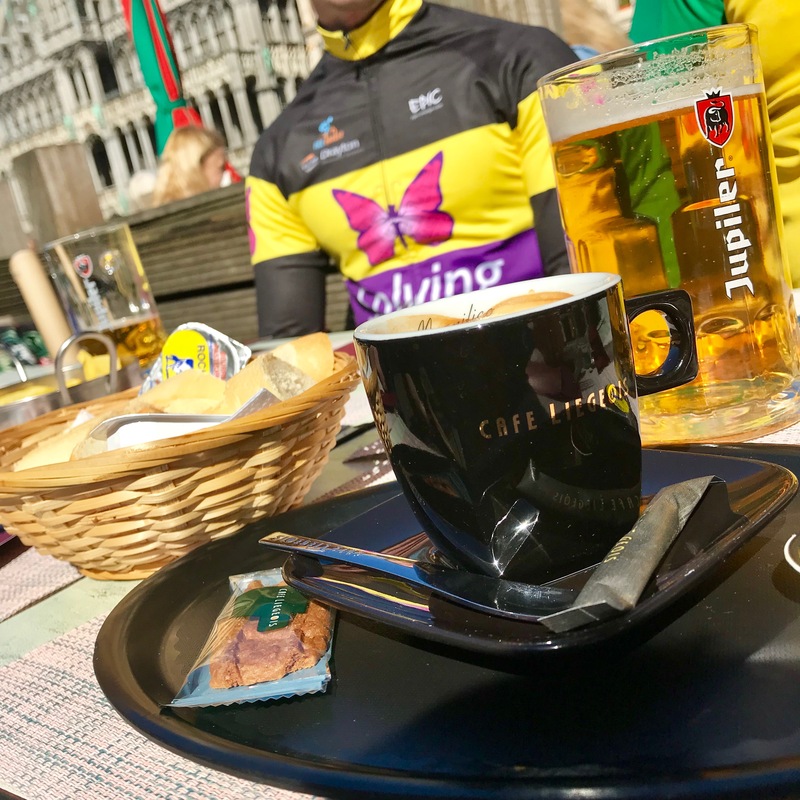 After a successful coffee stop, Scott lightened the load before we made the run in to the city centre which was surprisingly quiet for large city however this soon changed as we made our way into the square which was just a sea of people! We had finally made it after 3 long days! It was a great achievement and everybody was relieved it was done and we could enjoy a well-earned beer! 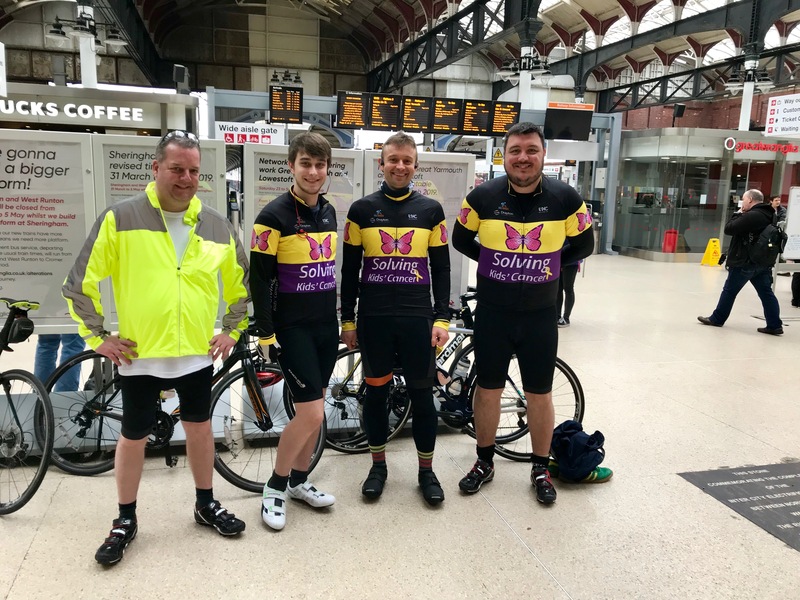 All in all, looking back it was good fun and a great achievement, which was topped off by hitting our target of £10k that came through when we were on the train home. Plenty of high’s and low’s (Ryan is still riding the high before going cold turkey in rehab) but all in all a successful weekend and job done! No matter how hard things got it was all worthwhile to do something to help an amazingly brave little boy. This is for you Harry!